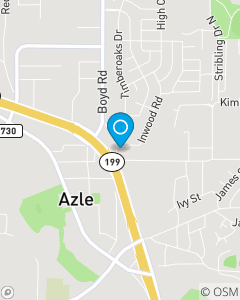 Serving the Auto, Homeowners, Life, Health and Business insurance needs of the Azle, TX area since 2002. Providing quality insurance services while recognizing customer needs for Auto, Home, Life, Health and Financial Services products. Our team strives to provide quality and friendly customer service. Stop in and see our team for a FREE insurance quote! Our team is the best around! Over 100 years of combined experience. We've been awarded the title Best Insurance Agent of Azle for 4 years straight! We value the relationships we have with our customers and work hard to always be their best choice for their insurance needs.